An iconic, pontoon-fender 1957 Ferrari 250 Testa Rossa (TR) sold for €9,020,000 at an RM Auction sale in Maranello, Italy to set a new auction world record as the most expensive motor car ever to be sold at auction. (May 2009). 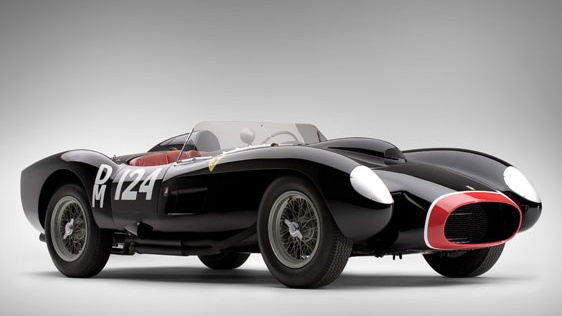 It was only the second car ever to have sold for more than $10 million at public auction.